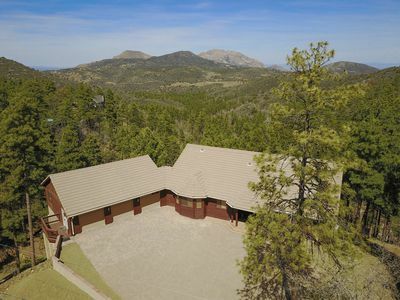 Enjoy Everything Prescott Has To Offer In This Unique And Modern Home! 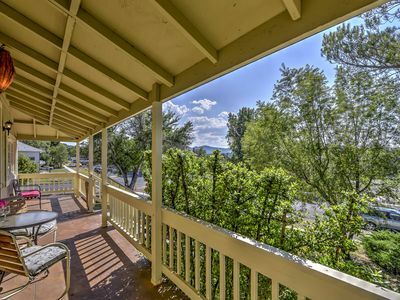 Nestled closely between Prescott's historic downtown square and the PV entertainment district is this very unique and modern home which sits above the famous Rose Creek. 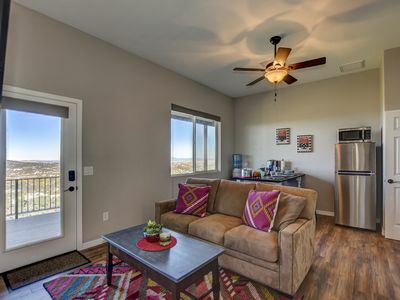 Only a 5-15 minute drive to everything Prescott and Prescott Valley have to offer: shopping, dining, theaters, biking, hiking, kayaking, rock climbing, lakes, art galleries, night clubs and more! 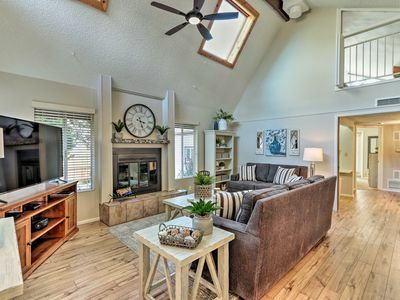 Surely to be one of the most unique homes you've stayed in and a step up from any hotel! Practically brand-new and has only been lived in part-time since earlier this year. The entire home sits above a seasonal stream which is known to be full of gold! 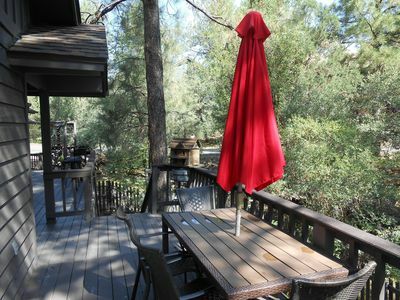 Wake up in the mornings and enjoy the large walk-out deck with views of the creek, lush vegetation and hopefully some wildlife! 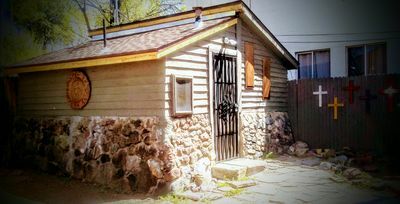 900 sq ft of livable space inside with 2 separate bedrooms each with a queen bed and locking doors for privacy. You'll sleep like a baby on our memory foam mattresses with high thread count Egyptian cotton sheets and a variety of foam and down pillows. 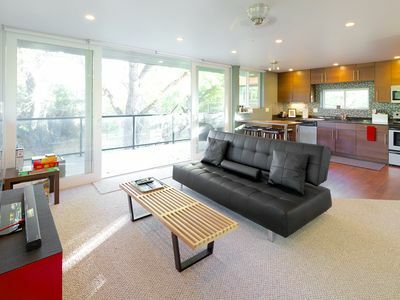 A leather futon in the living room folds out to a firm (but comfortable) queen size bed to accommodate more guests! 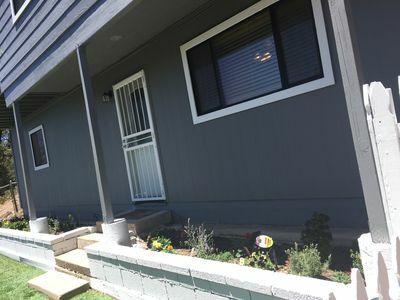 Guests have full access to the home and it's amenities including fast 100mbps wireless Internet, full kitchen, washer/dryer, board games, and a 50" plasma TV with Netflix streaming and other apps/games. A hair dryer, clothes iron, and full-size ironing board are also available for use. 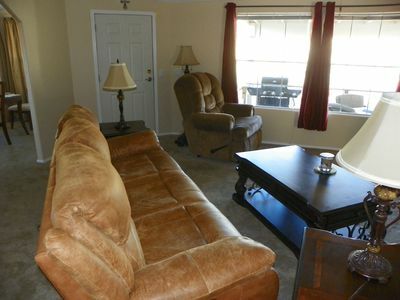 Once you arrive and get settled in you will feel like you've escaped the hustle and bustle of everyday life. There are neighboring homes but we've never experienced an issue with noise or lack of privacy; neither have our guests. The street is a hard-packed dirt road that is groomed and no problem for cars or even motorcycles. 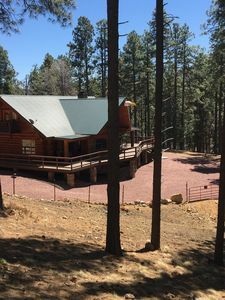 Some guests mention the neighborhood being a little more rural than they first expected but still nothing that would keep them from staying again. The home does not back up to the highway and is not on a thru street so guests should not worry about traffic or road noise. Check Maps and Street View for a close look. 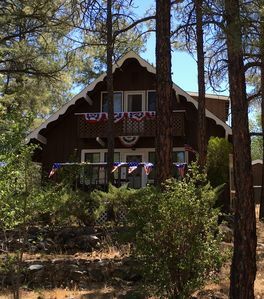 Since the home is off Highway 69, it makes it extremely quick and easy to get in and out of as you explore Prescott and the adjacent areas. There are grocery stores, restaurants, shopping and movie theaters literally 5 minutes away. You can be at one of 6 small lakes in 10-15 minutes. Downtown Prescott and world famous Whiskey Row are only a 15 minute drive! 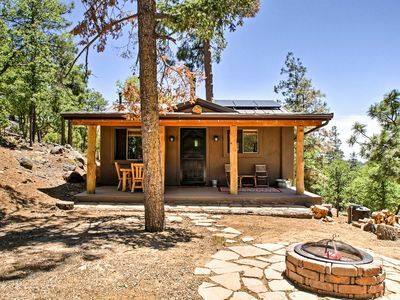 Great locations nearby for day trips: Phoenix-90 minutes, Cottonwood-1 hour, Sedona-1 hour and 15 minutes, Jerome-35 minutes, Flagstaff-90 minutes, Peach Springs-2 hours, Payson-2 hours, Grand Canyon-2 hours 30 minutes, Havasupai Falls Trailhead-3-4 hours. ***Disclaimer: Since the home sits so close to the creek, a standard toilet and septic tank system wan not an option. We opted for a high-end composting toilet. 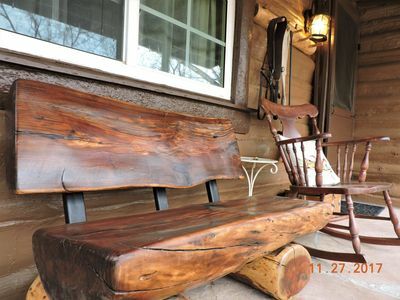 This is a $2,000 model that is electric and completely odorless! None of our guests have had any issues with it. There is currently a 3-night minimum. If you are looking for a 1 or 2 night stay, feel free to message us and we will see if we can accommodate you. Our home is not suitable for children under the age of 12 and no smoking inside whatsoever is allowed. Please send a message prior to booking and let us know the reason for your stay, exactly how many people will be arriving and how many vehicles will need parking space. 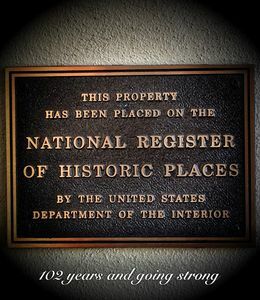 This is very important to allow us to determine if our home is a good fit for you. Absolutely no loud music or outside parties are allowed. 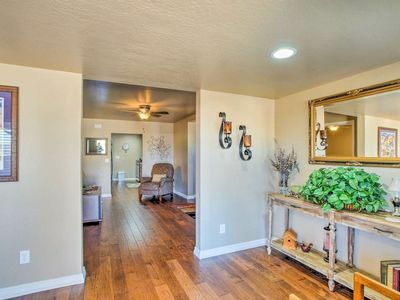 Our goal here is to provide an opportunity for visitors to stay in a unique and beautiful home with great amenities. We are only interested in hosting clean and quiet guests who are looking for a relaxing stay. No pets allowed at this time. Any attempt to mislead or misinform us on the above details will result in a negative review and forfeit of your security deposit. 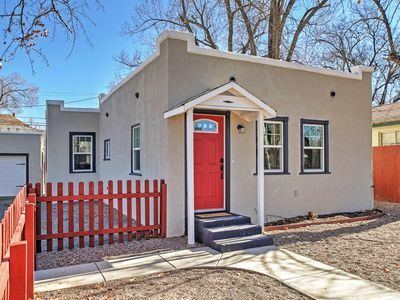 Cozy Prescott House - Walk 0.8 Mile to Downtown! MOUNTAINS AND LAKES AND PINES...OH MY!!! 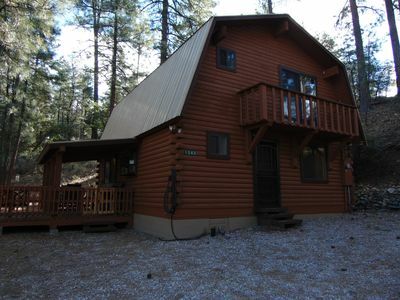 Authentic Log Cabin in the cool pines less than 2 hours from Phoenix. 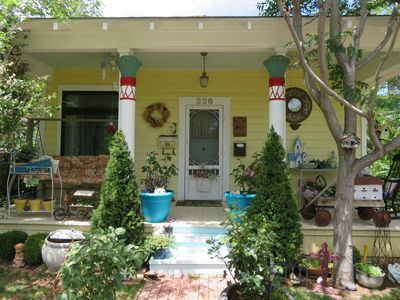 ‘Marina St Bungalow’ w/Patio in Downtown Prescott! 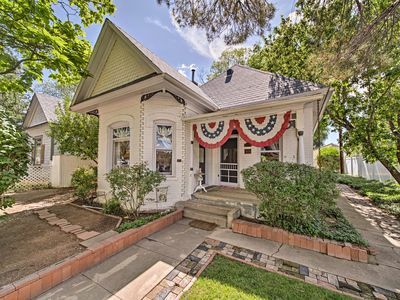 Historic Prescott Home - Walk to Town/Whiskey Row! 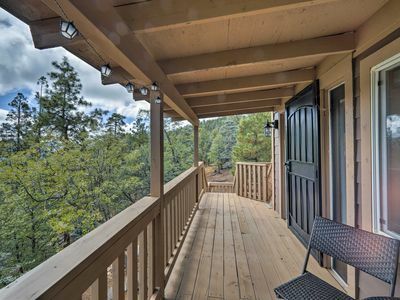 Stunning uninterrupted 180 degree views.